Even if you’re running a incredibly efficient Google AdWords account, AdWords can make a dent in your marketing budget. It’s a channel with a high payoff (an increase in sales), but more risk than other channels. 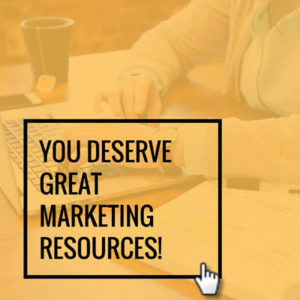 It’s riskier because it cost more than most, especially early on while you’re trying to figure out the perfect mix of ad groups, keywords, and ad creatives. That’s if you’re running an efficient account. If you’re doing it inefficiently, well, you can say buh-bye to a lot of hard-earned dollars. You can hemorrhage your marketing budget on a bad clicks and empty impressions. AdWords is awesome. It works better than most channels when you’re doing it right. The goal of this post is to help you understand what you should be focusing on when using AdWords. The ads platform has a very specific place in the marketing funnel– the bottom. PS: I’m not going to dive into specific strategies or tricks. If you have a quick question or need some advice, you can email me at mig[at]newcontentcollective.com. You want to pay for clicks from people close to making a purchase. Clicks can get costly otherwise. For that reason, the keywords you’re bidding on need to be more specific– you need to put yourself in the mind of someone who is ready to buy. Here’s a simplified example of what I’m talking about… who’s closer to purchasing a bike? It’s unclear how close customer #1 is to buying a bike. It’s unclear if they’re even looking for a bicycle, as opposed to a motor bike. This person has a lot more clicks in their future before they’re anywhere near to buying a bike. Customer #2 at least knows the type of bike he wants, but again, you don’t know if he’s close to making a purchase. This customer also has a lot more clicks in their horizon. The answer is #3 because this person has already done the research and knows that they want a Schwinn mountain bike. Now they just need to find out where to buy the bike from. Hopefully, that someone is you. Note: There are channels where you want to pay for a consumer’s research: social media ads, Outbrain, press releases, email blasts, etc. Just know that AdWords isn’t part of this family. This is related to the bike example above. If you bid on “bikes”, you’re going to get a ton of impressions. If you bid on “schwinn mountain bike”, you’re going to get a significantly lower amount of impressions. Remember: the goal is get someone to click on your ad when they’re as close as possible to converting. Which keyword has a better chance of landing a purchase? Schwinn mountain bike. Which keyword will cost you a lot less? Schwinn mountain bike. 100 impressions for “schwinn mountain bike” > 10,000 impressions for “bikes”. Don’t get caught up in the number of impressions. This might be going a little off tangent, but I think it’s important to know because it emphasizes that AdWords isn’t a normal auction– just because you have the most dollars to spend, doesn’t mean you’re going to win. We believe that “everyone deserves good content”. Google believes that everyone deserves a fair shot at AdWords. Funny enough, the two kind of go hand-in-hand. Simply stated, Quality Score is a score that reflects the relevancy of your keywords. If you have a high quality score, you will pay less per click. Example: My content marketing company wants to bid on the keyword “bonavita drip coffee machine”. Clearly, the New Content Collective website has NOTHING to do with selling coffee machines. My cost-per-click ends up being $25 per click (ouch). Seattle Coffee Gear, a company that sells coffee equipment, also bids on “bonavita drip coffee machine”. Their cost-per-click ends up being $1. The difference: Seattle Coffee Gear is a much more relevant site for “bonavita drip coffee machine”. Their quality score is high, while mine is low. Google takes your Quality Score into account, as well as your max bid, and spits out something known as Ad Rank which is exactly what it sounds like. Your ad gets ranked against other bidders– the worse the ranking, the worse the placement (if any placement at all). Not only does Quality Score give smaller companies a chance to compete with the big boys, it kind of makes the internet a better place. Example: You sell tea online. You’re bidding on “bulk organic black teas”– something you actually sell. You think you’re a relevant destination for someone searching that, but you have a low quality score. You end up either making your website more descriptive or creating a piece of content / landing page that explains everything someone would want to know about your organic black tea. By trying to get a better Quality Score, you just made your website better and more helpful for your target audience. I planned on making this post even longer, but I think this is a good stopping point. In my opinion, the first section is the most important: you need to remember that AdWords is meant for consumers that are ready to buy. Think “tickle me elmo” instead of “christmas gift”. The part about Quality Score is important just so you understand that you can’t just throw money at Google and expect results. If your website isn’t descriptive or completely irrelevant, you will have to pay to force your ad on the search network. Good luck with your AdWords campaigns. I hope this post helps you have a more efficient account. 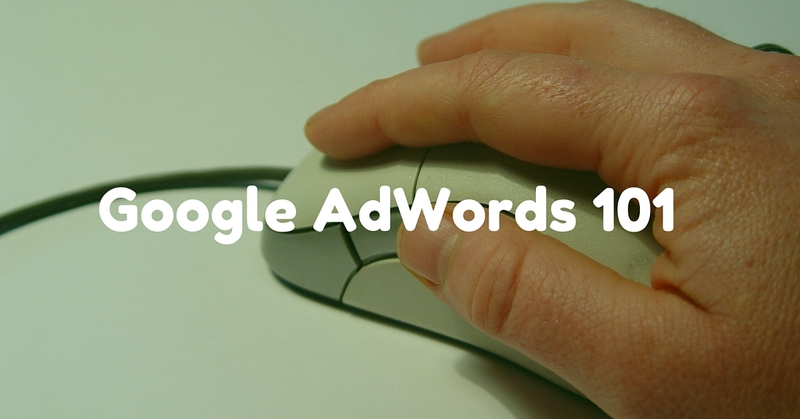 If you have any AdWords questions, don’t hesitate to send us a message.